A view of 253 Summer Street. The largest of the century-old buildings is far removed architecturally from the boxy towers sprouting up closer to the waterfront. In its search for a new home in Boston, General Electric has zeroed in one of the unique corners of Fort Point. The company is taking a hard look at a complex of older buildings where Summer Street meets the Channel, according to several people either involved in the search or who are closely tracking it. The buildings were once home to candy-maker New England Confectionery Co. One curves along Melcher Street, while two smaller buildings are tucked behind on Necco Street. An adjacent parking lot could also provide GE with room for a new building. GE had been shopping for sites before it announced in January that it will move its headquarters to Boston from Fairfield County, Conn. It has since signed a three-year lease for temporary space on nearby Farnsworth Street, but continues to search for a permanent home. 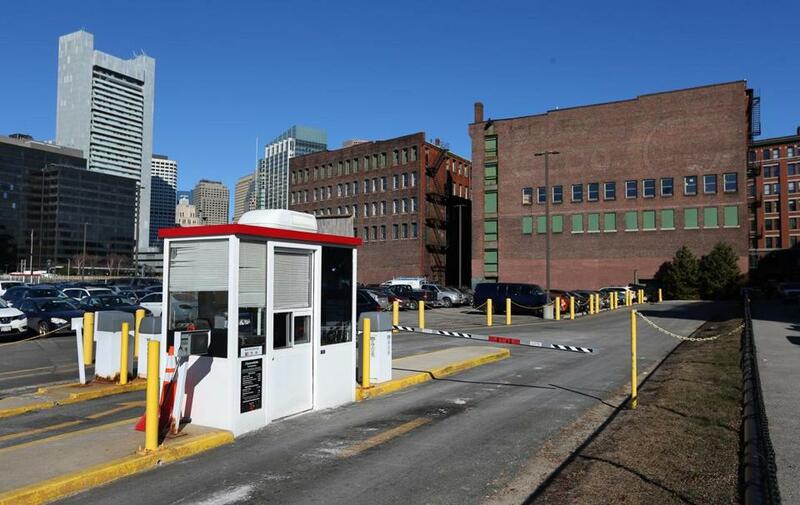 A GE spokeswoman declined to discuss specific locations; the company would only say it intends to be in the Seaport District. Other sites — chief among them a parcel of land owned by the Massachusetts Port Authority near the World Trade Center — may yet be more to GE’s liking. But real estate brokers and others who have closely watched GE’s search say the Necco complex appears to be the company’s first choice. The largest of the century-old buildings is far removed architecturally from the boxy towers sprouting up closer to the waterfront. Its yellow brick facade sweeps in a curve along Melcher Street while its back side faces an alley of fire escapes and loading docks. Built by the Boston Wharf Co., it served as Necco’s headquarters and factory in an industrial age when access to water and rail trumped showier needs. Behind it sit two old red-brick warehouses, empty and untouched in years, with boarded windows and bricked-over doorways like some relic of what Fort Point was three decades ago. It’s nothing like the sleek glass-and-granite high-rises many big-name companies call home. But it fits much of what the industrial-conglomerate-turned-tech-firm says it wants in a new headquarters. Historic brick-and-beam, but with room to build new in the expansive parking lot next door. A spot in the hub of Boston’s tech community. Views of, and from, Boston’s skyline. And a short walk to public transit. Still, the site comes with significant hurdles. For one, the buildings are owned by two different parties. 253 Summer is owned by real estate firm Synergy Investments. The two empty warehouses behind it and adjacent parking lot are owned by Gillette parent Procter & Gamble Co.
A spokesman for Synergy declined to comment. Procter & Gamble spokeswoman Kara Buckley said only that the buildings and lot were an important piece of Gillette’s South Boston campus. Also unclear is whether GE would rather own or rent. The company could lease space in 253 Summer, where a subsidiary of Partners Healthcare is set to move out next year. Or it could buy the building outright; Synergy has sold several older downtown office buildings in recent months. GE could also buy some or all of the parcel owned by Procter & Gamble, though several real estate brokers say the company has rebuffed offers in the past from local developers. Because of the way the incentives offered by the state and city are structured — up to $145 million combined — GE would get more subsidies if it owns, and if it builds something new, than if it simply rents existing space, said Larry DiCara, a veteran real estate attorney at Nixon Peabody. There are also zoning issues. While 253 Summer Street is now office space and could simply be renovated for GE, much of the vast parking lot behind it was set aside for housing and mixed-use buildings when the Boston Redevelopment Authority completed its so-called “100-Acre Plan” for the Seaport in 2006. That plan also set relatively modest height limits, in line with the existing 19th-century warehouse buildings, that would preclude a tower on the site. GE, which ultimately plans to have 800 people at its headquarters, may not want or need a tower. But it likely would need zoning changes for the Necco properties. BRA officials said they have not been approached about amending the zoning. But for a heavyweight such as GE, DiCara said, that shouldn’t be a problem. Still, it could raise concerns in the neighborhood, especially if new office space blocks out some of the housing envisioned in the 100-acre plan. Some residents of Fort Point have long eyed Gillette’s two empty buildings as potential housing for artists, a way to revive a community that has driven out by high rents and redevelopment. 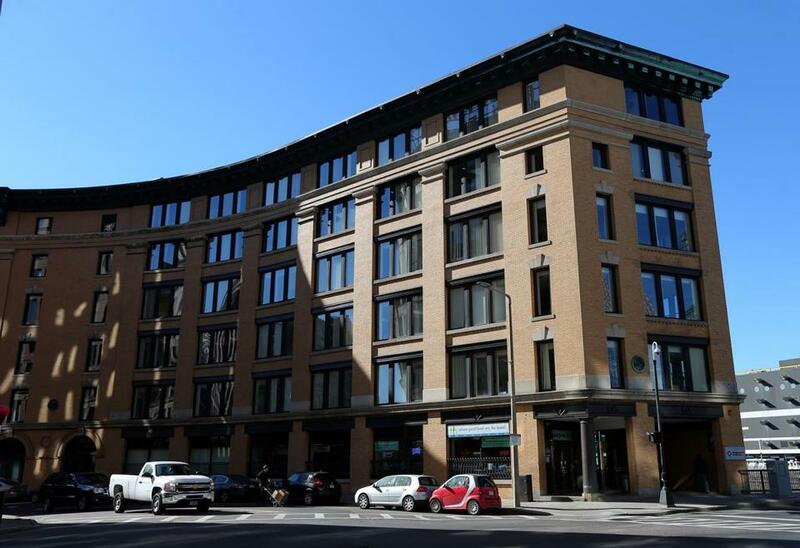 The Fort Point Arts Community, a nonprofit, has been working with a developer and identified financing to turn the two empty buildings into about 80 affordable apartments, said board chair Jennifer Mecca. It has talked with the city, but not yet launched negotiations with Procter & Gamble. As word spread in the neighborhood that GE might be landing there, Mecca said it might be time to step on the gas. Much of the vast parking lot behind 253 Summer St. was set aside for housing and mixed-use buildings when the Boston Redevelopment Authority completed its so-called “100-Acre Plan” for the Seaport in 2006. 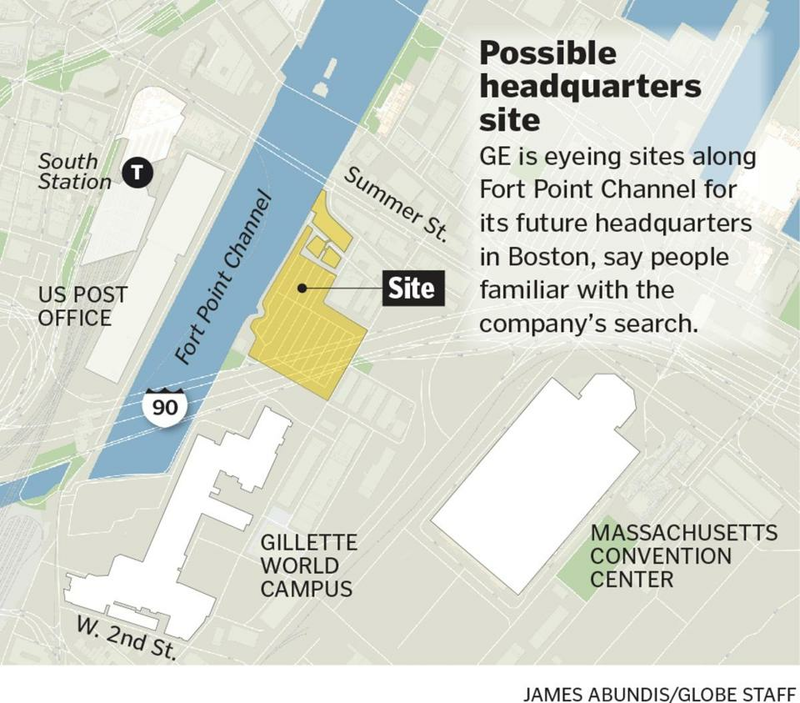 GE aims for Boston’s Seaport. But where, exactly? Horowitz: Will the GE move really make a difference?